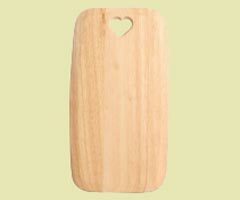 Why not treat someone special to this really cute cheese board, with its heart shape detail. Why not treat someone special to this really cute cheese board with its heart shape detail which make this board really unique. This good value gift comes complete with a selection of 3 knives.